Treasure Hunts at Roycroft Campus, Rhinebeck Antiques Fair, Hudson Valley, and Saratoga to name a few! In the era of techno-everything, there’s something noble about antiques. They‘ve survived trends, reversals of fortune and even being cast aside. Whether you find a favorite childhood toy at a bargain or splurge on ornate 19th-century French furniture, you can feel good about preserving a bit of history. Some of the best places to “rescue” timely treasures are in historic New York antique stores, neighborhoods, districts and more. Hotspots for antiques in New York City range from eclectic shops in the East Village to high-end galleries on Madison Avenue. 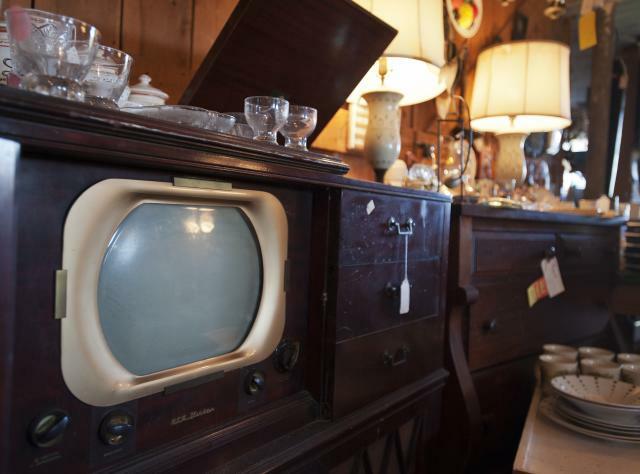 With a rich history and proximity to New York City, neighborhoods in the Hudson Valley and the Catskills draw seasoned antique collectors and curious newcomers to towns like Hyde Park, Jeffersonville and at the Callicoon Antique Center. The Hudson Antiques Dealer Association represents over 80 businesses in the city of Hudson, widely recognized as one of the nation’s premier antique and art centers. From the 1800s to 1900s, Stickley and Roycroft furniture, Steuben and Tiffany glass, and other fine crafts that are now coveted by international collectors, were created by innovative New Yorkers. You can sometimes find Arts & Crafts-era items near the places they were originally produced. Check out Corning&apos;s Gaffer District, Binghamton&apos;s Antique Row, Buffalo&apos;s historic Allentown Neighborhood Association, and East Aurora, where collectors of authentic American craftsmanship visit the restored Roycroft Campus. In the Capital-Saratoga region explore historic antique stores and regions including Troy’s 1800s architecture and eclectic shops and dealers including the Gristmill Antique Center, one of the largest multi-dealer antique centers in the Northeast. From Afton to Unadilla in the rolling hills of Central NY, the Antique Shops of Chenango County include small country stores and large multi-dealer spaces. Along Bloomfield&apos;s Antique Country Mile in the Finger Lakes, you&apos;ll find more than 175 antique stores or dealers. Shops dot the old Seneca Trail, now known as Routes 5 & 20, near Bloomfield’s charming village with colonial architecture and fun places to eat and shop. Major events like the Rhinebeck Antiques Fair, one of the country&apos;s best antique fairs, and the Madison-Bouckville Antique Festival attract thousands of treasure hunters. Want to hunt for antiques on a budget? Every October, the community-wide Warrensburg World&apos;s Largest Garage Sale has over 1,000 vendors. You can shop for just about anything at this outrageously big event, including antiques, collectibles, old toys and vintage clothing and jewelry. The garage sale route stretches for miles, starting south of Lake George and continuing north of Warrensburg into the Adirondacks. Search for antique and shopping experiences across New York now!